Morning is the starting of a new day. So we should start it by sending good wishes to fellows and relatives. This not only makes our day pleasant but others as well. If you wish good morning to your beloved ones in funny way, is a finest choice starting a day. Because it not only light up the mood but also refresh the mind. So, here’s a best collection of funny good morning quotes in English with images. 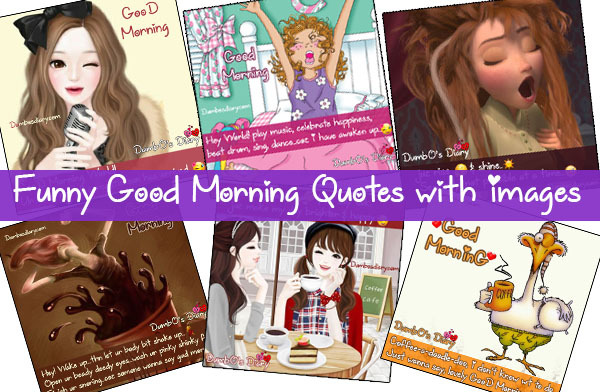 Send these cute good morning quotes with images to make someone’s day special. Coffee-doodle-deo, I don’t know what to do? No doubt I am a beauty princess, but always wake up looking like a troll. Wear on your face a jolly wolly smile..